Success in any endeavor is about vision, planning and execution. At PSAdvisory we have seen technology not live up to its full potential or fail simply because the business has not developed a framework which clearly demonstrates how all the pieces fit together. We believe that by working with you and your team we can help develop and implement solutions that will deliver results for your business. Andrew leads the implementation team. 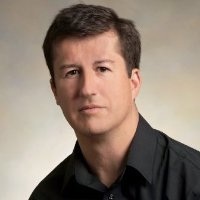 He has been recognized by Salesforce.com as one of the leading innovators with regard to implementing Salesforce.com in the insurance vertical. As a CTO for a regional brokerage firm, Andrew oversaw the deployment of a Salesforce.com system in 2010. Over the next three years, he focused on customizing the system and implementing best practices for the insurance industry, ultimately generating a significant ROI for the firm. Andrew brings years of hard fought experience to our clients so that they can accelerate their ROI in implementing Salesforce.com.